Dominion Electric Supply will by closed for the New Year on Friday, December 31st and Saturday, January 1st. 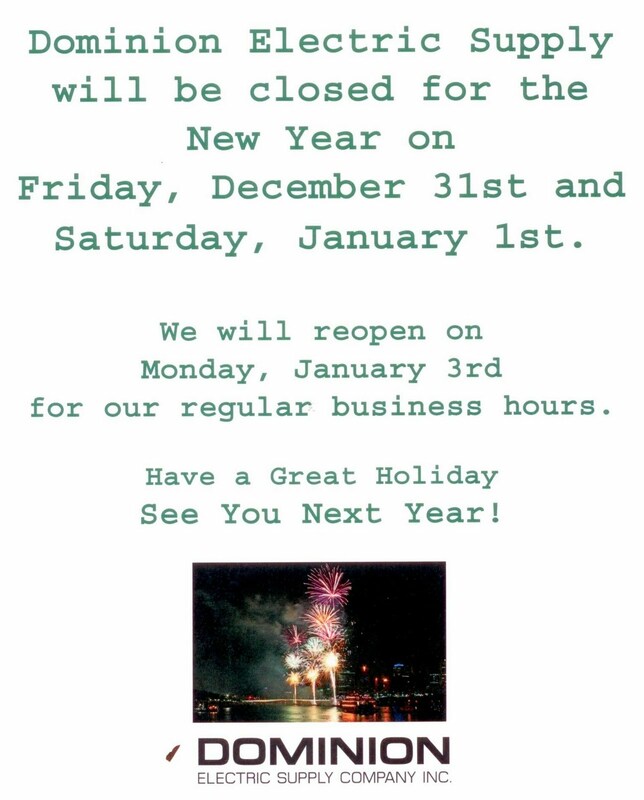 We will reopen on Monday, January 3rd for our regular business hours. Have a great holiday, and we'll see you next year!